4 used portables have been purchased from Port Townsend School District to house OPA on the OPA gymnasium site. They will be delivered in June. A used fifth portable purchase is being prospected. Kitchen equipment for the new central kitchen is being reviewed. A formal bid for a demolition contractor will be advertised in early June. Soil samples have been taken at the community school site. Clallam County PUD is working to approve electrical needs for the central kitchen. 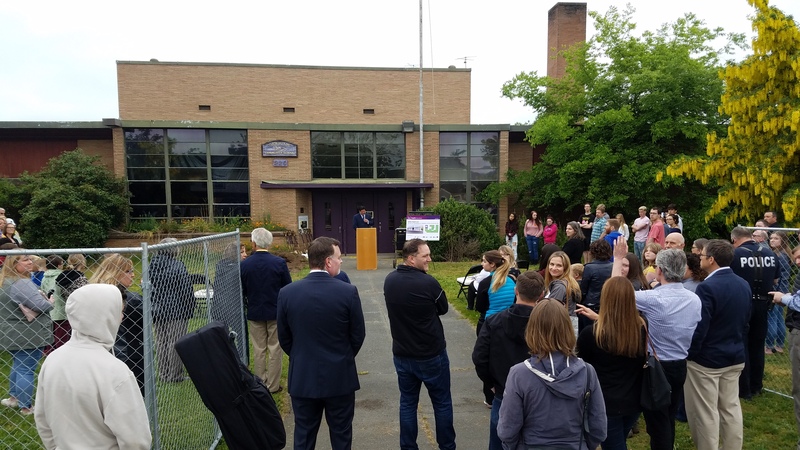 The ground breaking for the Central Kitchen Remodel and Community School Deconstruction took place on Friday May 18th at 10am.